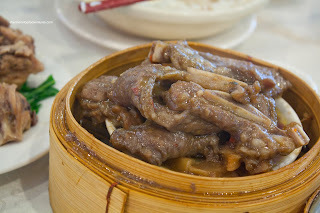 It is often said that Vancouver has the best Chinese food in the world. Well, I guess that depends what type of Chinese food (since there are many different regional cuisines) and personal preferences. Now, my parents recent foray to China and Hong Kong have pretty much confirmed this sentiment to a degree. The food in Hong Kong is pretty darn good too! 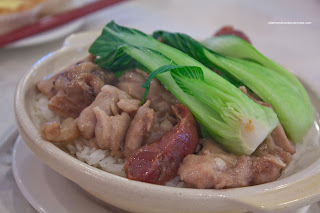 So let's just say that Vancouver has some of the best Chinese food in the world; rather than declaring it the best. The predominant type of Chinese food in Vancouver is Cantonese, so we should further refine that declaration to Vancouver has some of the best Cantonese food in the world. 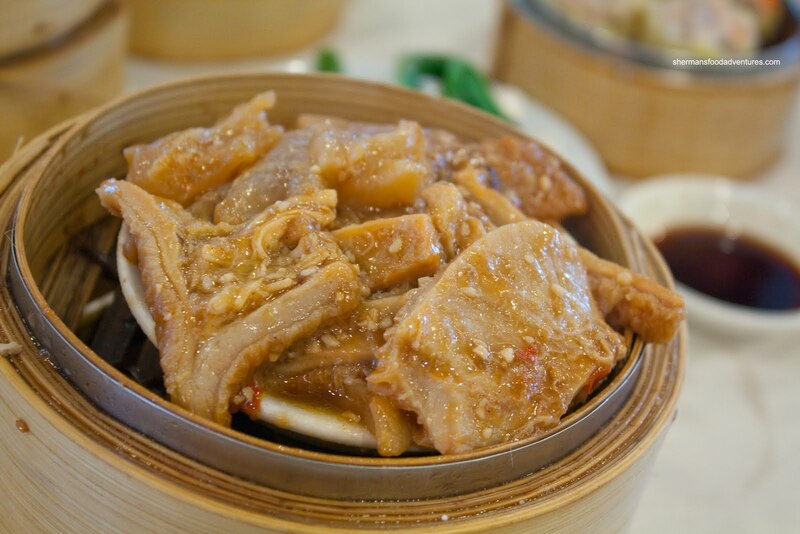 With that in mind, the question is: if Vancouver has such great Cantonese food, is there much room for mediocre-to-poor Cantonese food? Now, I'm not talking about the 'burbs either. This is Vancouver proper. I guess Darwinism would take over in this instance since only the strongest survive, right? The weaker would ultimately meet their demise one way or another. That was probably one of the factors for East #1 Chinese Restaurant closing. Let's just say that when Viv tried the food there, it was less than impressive. I went to see for myself with Rich Guy and we came away disappointed. For once, the low % on Urbanspoon was reflective of the overall product. And just like many Chinese restaurants, as fast as one closes, another one opens up. 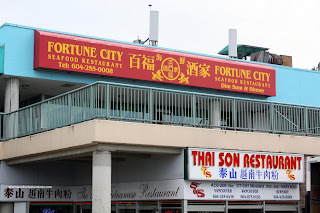 With slight changes to the decor and the elimination of the push carts, it is now another Chinese restaurant named Fortune, Fortune City to be exact. We met up with my in-laws for Dim Sum on a weekday and it was bustling with activity. Apparently it was 10% off with free tea during this time. Against our will, we started with the Egg Tarts. Serves us right for ordering it with the rest of our food since it inevitably shows up first. It's a catch-22 though because if you divide your order into 2, it might take awhile and to actually flag someone down would be a chore. 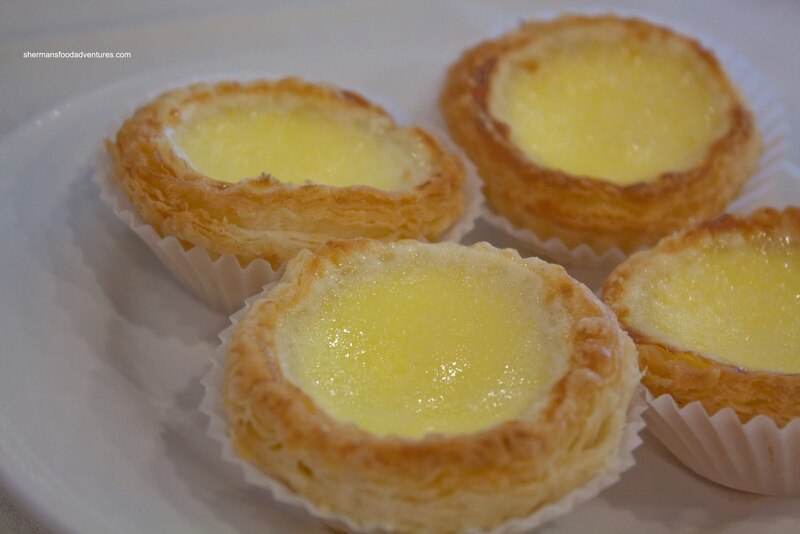 Well, the egg tarts were mini-sized versions that had a flaky shell that was slightly crisp. The egg custard was actually kind of bland. Now the rice was our first indication that the portion size here might be a bit ludicrous and when the Sui Mai arrived, it was confirmed. They were barely able to stuff the 4 dumplings in the steamer. In fact, trying to remove them was quite difficult. Now, portion size and quality can be 2 mutually exclusive things. In this case, I would say that it was somewhere in the middle. I found the pork to be slightly on the chewier side; yet not terribly so. There was a decent mix of shiitake and shrimp in it that actually made the sui mai a bit loose once bitten into. 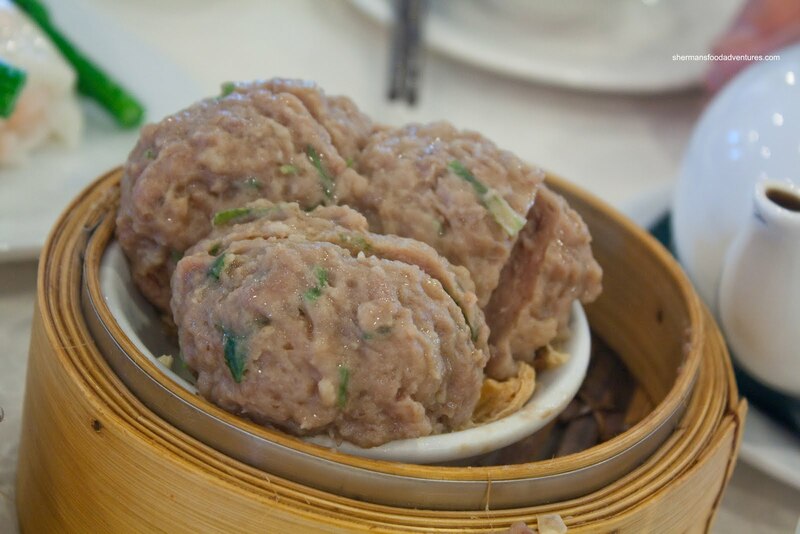 I would say it was a good value sui mai. 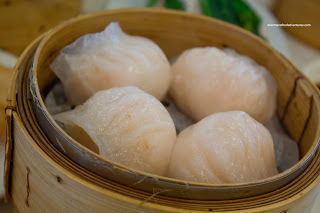 Now the Haw Gow (Shrimp Dumplings) were quite large as well. The dumpling skin was good, not too thick and steamed just right. The filling was a mix of shrimp mousse and pieces of shrimp. For me, the mousse to shrimp ratio was a bit off and it became less of a shrimp dumpling as a result. Now, don't get me wrong, it was still alright and once again a good value. 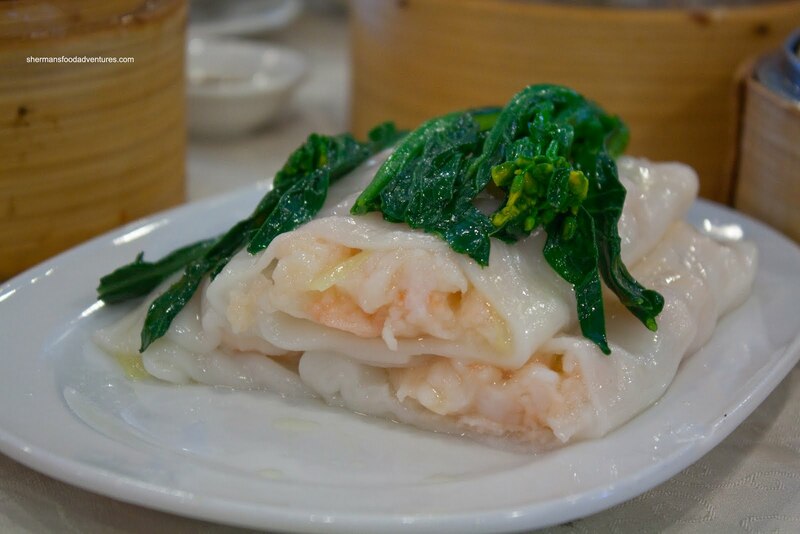 It seemed like they used the same filling for the shrimp dumplings in the Shrimp Rice Noodle Roll. If you look at the picture, there seems to be an inordinate amount of filling in the roll. Well, that is the result of the mousse filling in the space that would normally be left by the whole shrimp. There is 2 ways of looking at this. Either this is wonderful because the roll is full of filling or it is all wrong because it is a mixture of shrimp and mousse. For me, I thought it wasn't too bad; yet the texture was a bit off. The same could be said for the rice noodle itself. It was rather sticky and when I picked up a piece, everything fell apart. Now when we talk about Beef Meatballs, it is as exciting as a prostate exam... Wait... Bad analogy... However, when these balls arrived, they were so big, it drew a lot of stares. I mean, look at the balls, they were enormous! Now, big balls aside, they need to be good too. Well, these were not bad. The texture leaned towards the softer side; yet the meat still had a slight bounce. 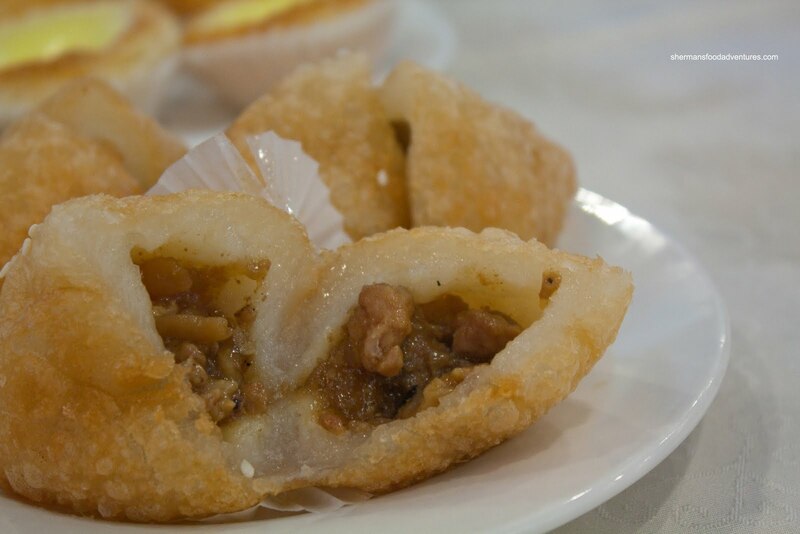 I liked the use of water chestnuts, it added a good crunch. However, there was too much green onion. In fact, there were clumps of them inside. As for our offal dish of the day, we had the Tendons and Tripe. I found both items to be too soft. Not horribly so; yet there was not much in the way of any texture left. With that being said, I much prefer soft than too chewy. There was plenty of seasoning though in the form of garlic (and MSG I'm sure). Now for some ribs, starting with the Blackbean Pork Spareribs. There was a good mix of meat and bone with little in the way of fatty or cartilage pieces. The texture was bang on with a nice resistance while being tender. Once again, seasoning was not a problem with a good amount of blackbean, peppers and garlic. And also once again, for some reason or another, we got the Beef Shortribs. I'm normally not a huge fan of this at Dim Sum because it is rarely prepared properly. 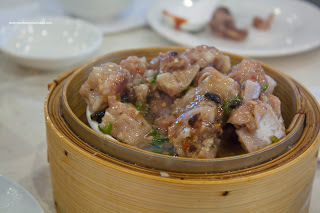 In fact, the last time at Sun Sui Wah, it was downright awful. 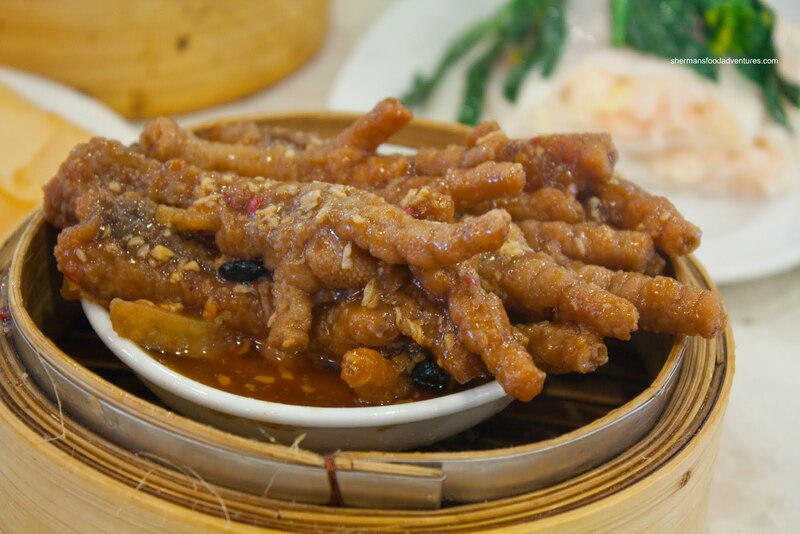 It can turn out quite chewy and due to the tendons, it can be pretty hard to eat. This one here was somewhere in the middle. It was a large portion, like most of their dishes, and there was plenty of meat (rather than fat and tendon). The meat was not exactly tender; yet it was possible to chew it without too much effort. I found the seasoning on this one to be a little more conservative, possibly due to the amount of ribs on the plate. Some of the marinade must've dripped to the bottom of the plate during steaming. It still had a good amount of garlic and a touch of chili flakes, so there was flavour. Similarly, the Phoenix Talons (or chicken feet) were flavoured with garlic, chili flakes and blackbean. These were slightly overcooked where some of the skin detached from the bone. Still, this was a decent effort. Now one thing that annoyed us all was the use of frozen French fries underneath the last 4 dishes I've talked about. There was this odd aftertaste and texture that was very unappealing. 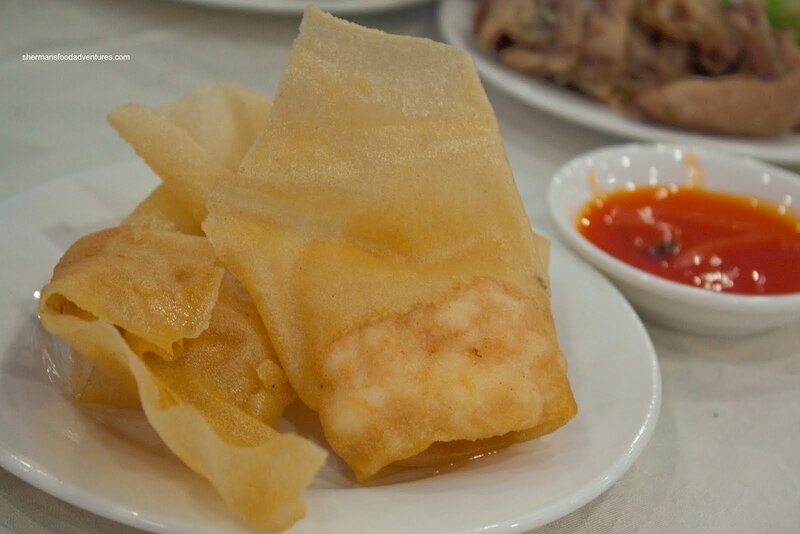 Lastly, we ordered Fried Wontons for the kiddies. Essentially a shrimp spring roll in another form, this was not bad. The pocket of shrimp was quite large, which was a rarity. 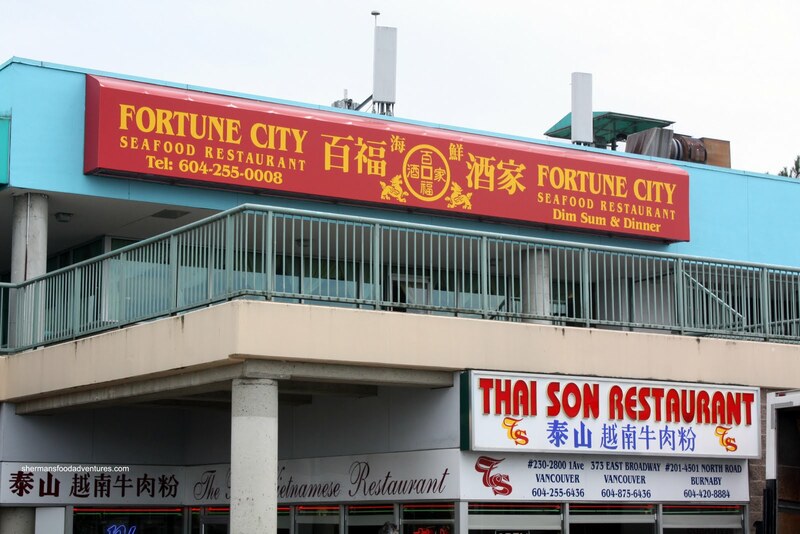 So has it changed for the better with Fortune City replacing #1 East? Slightly. 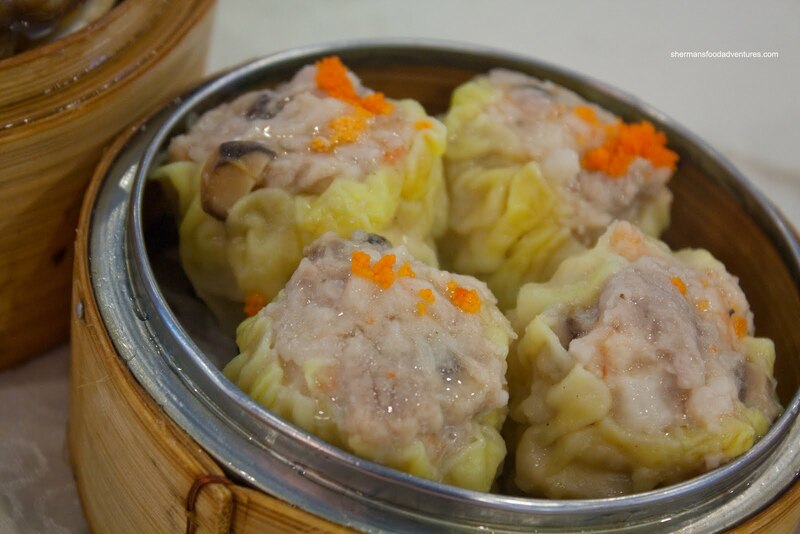 The Dim Sum is definitely a good value considering the portion size and prices. However, execution is still hit and miss.